A rogue CIA agent enlists the unwitting aid of an old classmate. Watching Johnson in this role, it's impossible not to grin throughout Central Intelligence, even if it does run a good 20 minutes too long and features two endings too many. As buddy movies go, it's no The Nice Guys, but it's certainly not Ride Along 3. 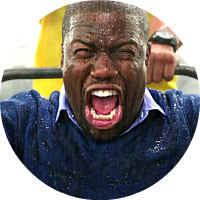 There are few screen presences as irritating as Kevin Hart, a 'comic' actor whose schtick consists mostly of shrieking hysterically and improvising with a resounding lack of comedic creativity. 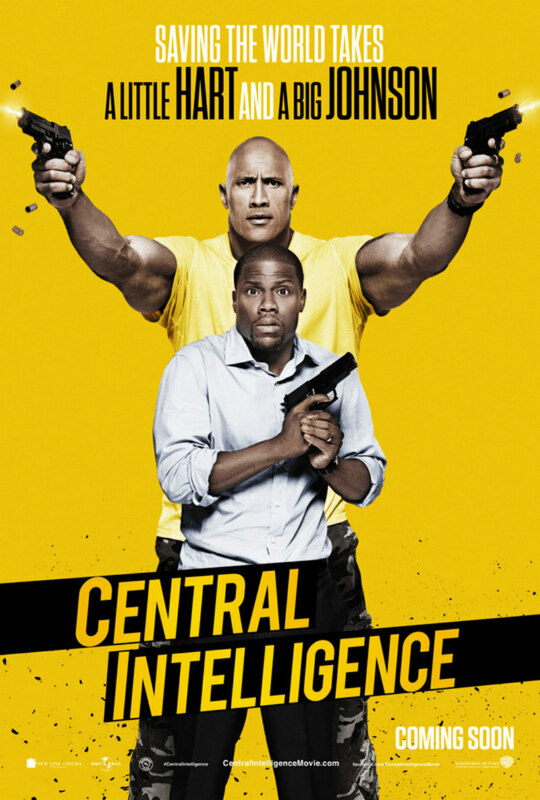 On the surface, his latest, Central Intelligence, looks like little more than a rehash of the awful Ride Along, with Ice Cube's cop replaced by Dwayne Johnson's CI agent. Not so. This movie is clever enough to realise Hart isn't funny, and so smartly positions him in the role of straight man. Johnson, on the other hand, is one of those gifted talents capable of turning their hand to any genre. He oozes charisma, he's endearing and he can make us laugh both at and with him. There's a name for actors like Johnson - Movie Star! Here he's the comic foil, and he's magnetic. A pre-credits sequence takes us back to 1996, and a pep rally at Central High School, where the school's most popular pupil, Calvin Joyner (Hart), is receiving an award for, well, I guess for being the school's most popular pupil. His acceptance speech is interrupted when a bunch of jocks burst into the gym carrying a naked Robbie Weirdicht (Johnson, de-aged and bloated by CG), an obese kid whom they promptly humiliate in front of his peers. Joyner comes to the rescue, handing Weirdicht his letterman jacket to cover his modesty. 20 years later, a day before Central High's class reunion, Joyner, now an accountant unhappy with his career, receives a facebook friend request from Weirdicht, and agrees to meet him for a drink. Lo and behold, Weirdicht has transformed himself into a lookalike for that old wrestler The Rock, though his social skills don't seem to have advanced any since leaving high school; he's still that big, awkward kid. The next day, Joyner receives a second surprise - Weirdicht is a CIA agent gone rogue, and he's embroiled Joyner in a manner that forces the two men to go on the run from the authorities. Watching Johnson in this role, it's impossible not to grin throughout Central Intelligence, even if it does run a good 20 minutes too long and features two endings too many. The script doesn't give him any particular gems of one-liners, but Johnson fills in the gaps, mining laughs from his overbearing frame in a way Hart fails to with his short stature, which has been the latter's central gimmick through his career, despite him being a relatively handsome guy with a bodybuilder's physique. Another genuinely talented comic performer, Jason Bateman, steals the show in his cameo as yet another in his ongoing series of slimy, middle class white guys. Unlike most contemporary Hollywood movies, Central Intelligence is cleverly plotted in a simple, economic way that negates the need for viewers to rack their brains to make sense of its story. Early on, bemoaning his lack of career advancement, Joyner mocks the fact that he works in an office with a giant inflatable gorilla out front. This is a funny line on its own, but it also hardwires us for an action beat later on. This is meat and potatoes stuff, but few of today's Hollywood writers seem capable of such simple storytelling. 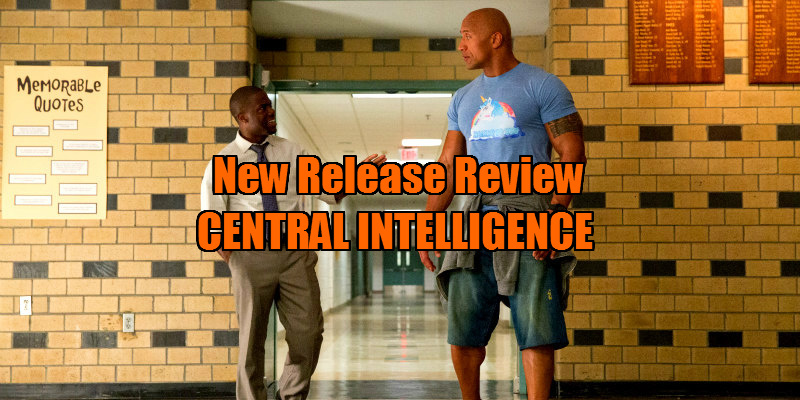 Like most modern action-comedies, Central Intelligence is short on action, a waste given the presence of Johnson, but what we do get is quite well-handled, and a siege on Joyner's office makes innovative use of its environment. As buddy movies go, it's no The Nice Guys, but it's certainly not Ride Along 3.